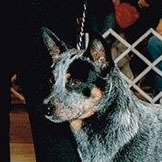 I first became interested in training dogs at a very young age but waited until the early 80's to take my first obedience class. I began with a Doberman and was quickly hooked by the sport. At the time, my children were small and several years passed before I had the time to get more involved with training. 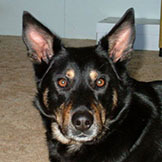 I was planning to compete in Obedience when I bought my first German Shepherd Dog, but I stumbled across Shutzhund, a sport composed of Obedience, Tracking, and Protection, and was instantly intrigued. I then competed and titled in that sport for six years with three different Shepherds. 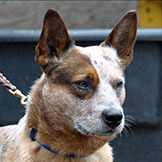 My interests then turned to the Australian Cattle Dog (ACD), again thinking of Obedience competitions. 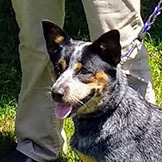 My first ACD, Wicca, turned out to have such a tremendous amount of herding instinct that I just HAD to get her some sheep and take herding lessons!! 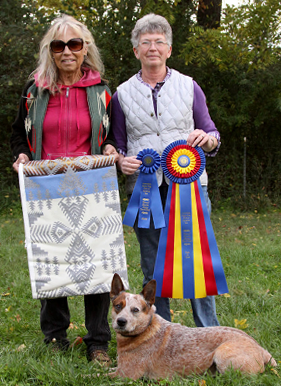 Since then I have titled numerous dogs in herding and am now an AKC and AHBA herding judge. I can truthfully say that I never know in which direction my dogs will lead me, but I always enjoy the ride! !